How to search UN8140C and its connected devices – Atac Technology Co., Ltd.
UD1 and UD2 for connecting USB devices as they are connected directly to your PC. UN1 and UN2 for connecting USB storage as they are Network Attached Storage (NAS). Use USBIP Admin IP Search Tool to search (Search Servers or Search by MAC ID). Use USBIP Admin Mapping tool to search. From an IE browser at URL address field, type in “\\” + UN8140C IP address, and enter. 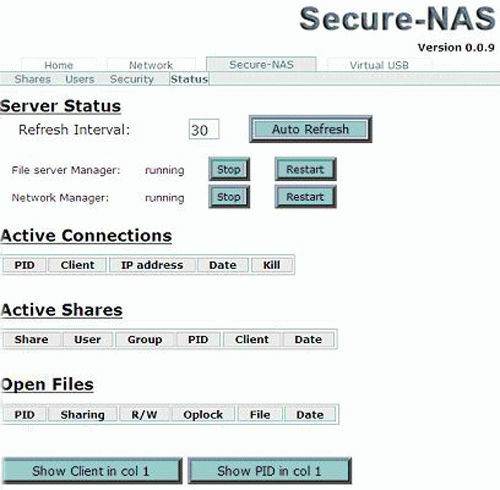 Then a Neighborhood File Browser will be opened with listed storage share names being detected. If you are sure a share name indeed exists, but not detected, please make sure you have the access right to the share name. and make sure to click “Commit Changes” to effect all your editing (see below). Click “Auto Refresh” to refresh and see all changes made (see below).